View cart “Hong Kong Data Centre Supply Report” has been added to your cart. 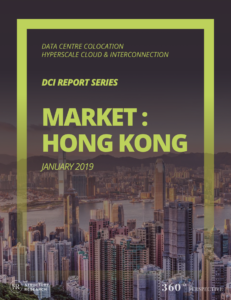 The Hong Kong DCI Report is an in-depth 128-page study that measures the aggregate size of the Hong Kong data centre colocation, hyperscale cloud and interconnection market from a revenue generation standpoint and utilization from a space and power perspective. This version includes detailed pricing analysis and projections for wholesale and retail colocation deployments as well as vertical segmentation break outs. Interconnection for the Hong Kong market is covered in terms of cross connect market share, hyperscale public cloud on ramp locations, and Software Defined Network (SDN) fabrics. There are data centre provider leaderboards that distinguish between revenue, space and power capacity in Hong Kong along with sub-regional analysis that further splits the Hong Kong market into various sub-regions that include Tseung Kwan O, Kowloon West (Tsuen Wan, Kwai Chung), New Territories North, Hong Kong Island, and Kowloon Bay. The Hong Kong data centre market continues to push along a steady forward trajectory. In 2018, the market was worth $883m and is projected to reach just over $1.7b in 2023. The projected five-year CAGR for 2018-23 is 14%. Two main themes continue to drive the Hong Kong data centre market story. The first theme is hyperscale. This unique subset of end users is driving absorption of new supply and as a result, the market is expected to be roughly evenly split between retail and wholesale colocation earlier (in 2020) than we have projected in previous reports. The other theme is land scarcity. Hong Kong is a small city-state with limited land for both greenfield and brownfield builds. This situation is exacerbated by the fact that the demand profile is so heavily skewed to hyperscale. Large plots of land and the energy needed to power the data centre are just not easily attainable. These dynamics have reduced the competitive landscape to a handful of capable players. And at the same time, it has spawned a new market participant: land and real estate developers that come from traditional industries, but are now looking to transition into the infrastructure and real estate that underpins the Internet economy. The Hong Kong data centre market has historically been a relatively steady one. But the explosive growth of hyperscale cloud infrastructure and online media have turned up the volume in the market. The stakes are higher and the competition more intense. A few key strategic moves can have a huge ripple effect across the market. This report takes an in-depth look at the underlying metrics of the Hong Kong colocation and interconnection market. We track the market’s size and rate of growth, and provide a five-year CAGR projection. On top of this, we provide a historical perspective, with an eight-year window of market data. 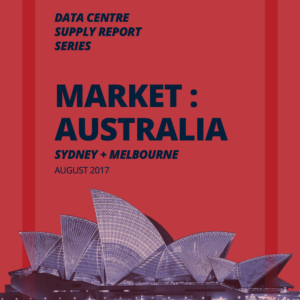 In addition to market sizing, this report provides a full and complete picture into the supply and demand dynamics, and maps out the hyperscale cloud on-ramp footprint, enabled by a growing density of interconnection nodes within third party data centres. 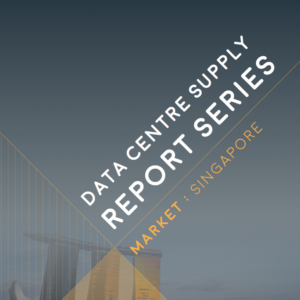 This report is an excellent resource for any service provider, investor or end user (service provider or enterprise) that is looking to understand and project the data centre market in Hong Kong or find a service provider.